Sweet Potatoes and Peas with Grass-Fed Bison is very easy to prepare, and it's a fall favorite with my family. This one-dish, Asian-style delicacy puts our fall harvest to great use. Sweet potatoes and peas are packed with vitamins A and C, as well as calcium and iron. Grass-fed ground bison is naturally low in fat. Peel the potatoes, or simply scrub them clean. Dice into bite-sized pieces, about 1/2 each. Bring a lightly salted pot of water to boil. Add the potatoes and cook until barely tender, about 10 minutes. Heat the vegetable oil in a large skillet or wok over medium heat. 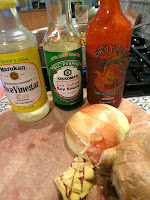 Sauté the garlic for 30 seconds, then add the ginger and sauté for another 30 seconds. Add the onion and stir gently for 5 to 7 minutes, until translucent. Add the ground bison to the pan and sauté until it is uniformly brown. Drain off any excess fat, if desired. 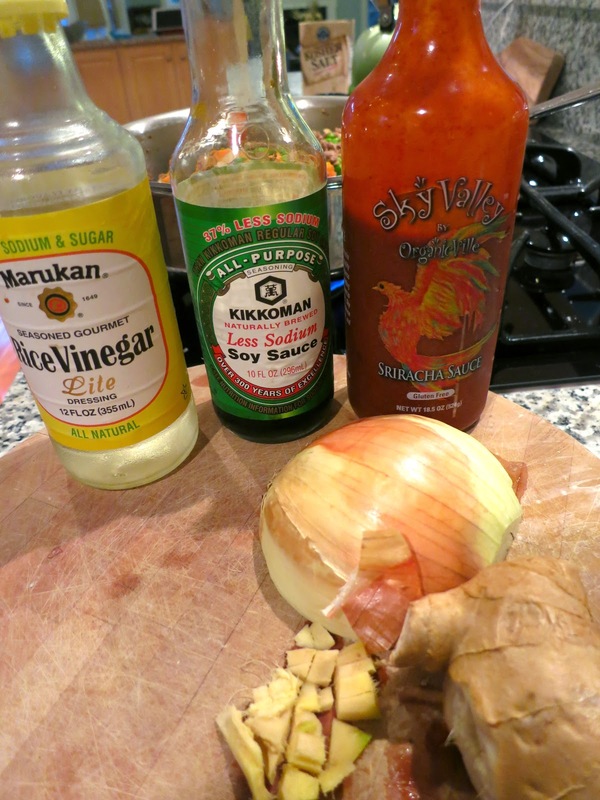 In a small mixing bowl, combine the vinegar, soy sauce, Sriracha, and water. Add the sauce to the beef mixture and stir for one minute. Add the sweet potatoes and peas to the pan, and stir to combine. Turn heat to low, cover the skillet, and allow to simmer for 10 minutes. When cooking for people who don't like spice, I leave the Sriracha out until the last 2 minutes. I remove a portion without spice and set it aside for the milder palates. Then, I spice it up for the rest of the crew and let it simmer for another few minutes. A hearty, harvest-worthy meal for chill fall days awaits you!